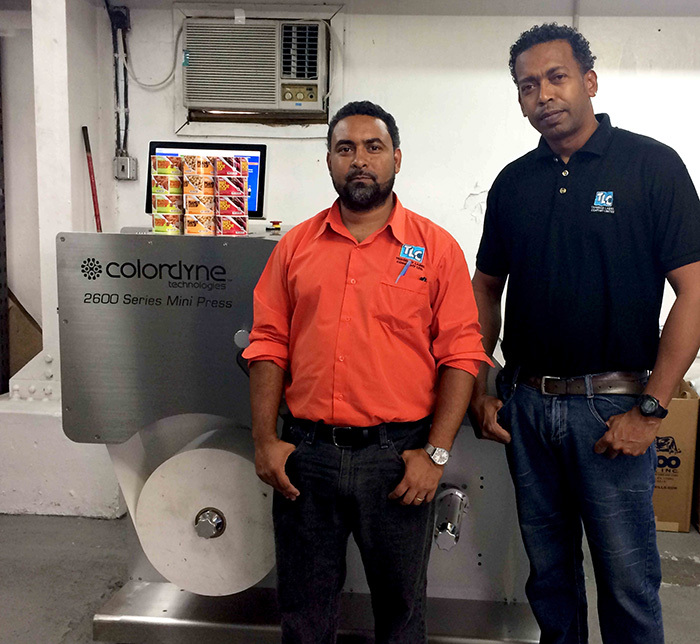 Trinidad Label Company (TLC) has invested in a new Colordyne 2600 Series Mini Press to expand its short-run digital label printing capability. The investment in the machine, which was installed in mid-2016, is a part of TLC’s plan to meet very short runs of high quality labels requirements for the food and beverage markets. The Colordyne 2600 Series Mini Press is a mid-range roll-to-roll digital printing platform designed to offer run lengths up to 2,500 linear feet per job or version. At speeds up to 18 meters per minute, the machine can produce four-color process images at 1600×1600 dpi which is for printing high resolution full color labels, tickets and tags. Colordyne Technologies sales and marketing director Taylor Buckthorpe said that the The 2600 Series Mini Press allows label converters to expand their business and serve short-run markets. Colordyne said that the Mini Press also provides label converters with easy to use interface, high quality printing capabilities and quick turnaround time. Image: The Colordyne 2600 Series Mini Press is a mid-range roll-to-roll digital printing platform. Photo: courtesy of Colordyne Technologies.